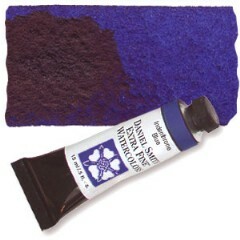 This organic Vat pigment is a super-staining primary blue. Warmer than most blues, Indanthrone Blue is clear with a delightful range from blue-black to stonewashed denim. Indanthrone Blue offers exciting new possibilities for Indigo skies, water and interesting shadows, as it can be successfully graded to achieve atmospheric and colour perspective.